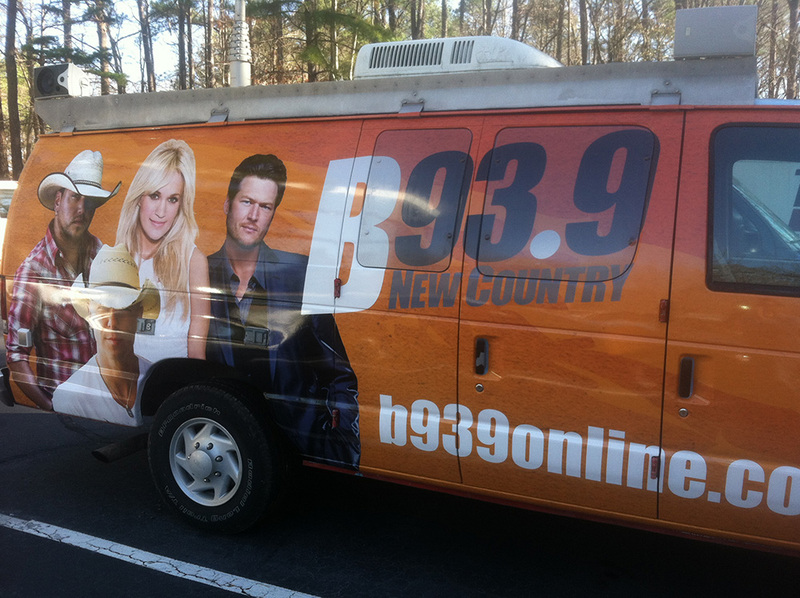 B939 is a radio station in the Raleigh-Durham, NC area. 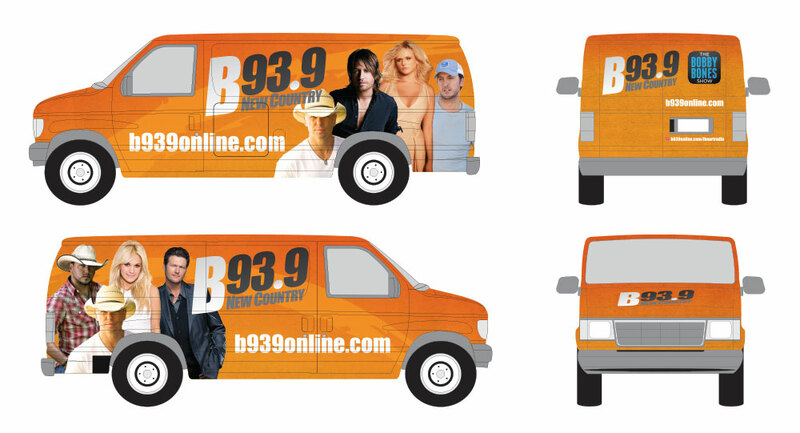 In 2013, the station changed from a top 40 format to a country format, and needed all-new branding. 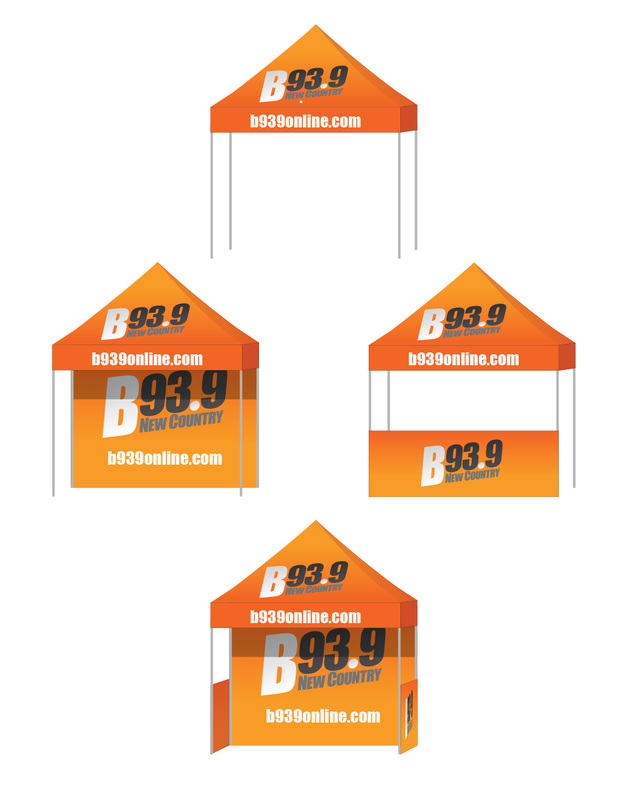 A logo was developed, along with vehicle graphics and a tent design.